Chayote can be described as a mild-flavored squash that looks like a wrinkled, pale green pear. Now a very popular product, the chayote can be described as having a medley of flavors such as turnip, cucumber and zucchini. 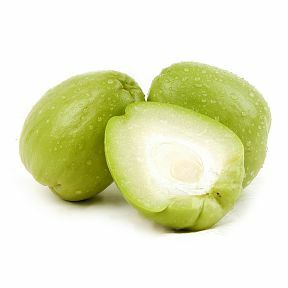 Chayote should be peeled, prior to cooking, although the seed should be left, as it is entirely edible and very flavorful. Cooked chayotes make good low-fat substitutes for avocados. 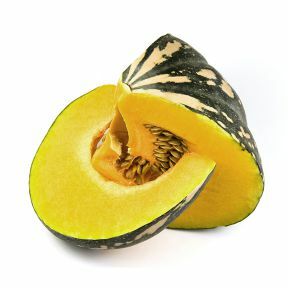 The chayote can be steamed, sautéed, or deep-fried, and provides a good source of Vitamin A, potassium and fiber, and is also relatively low in sodium. 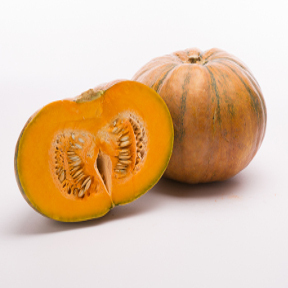 Names: Chayote, Mango Squash, Pear Squash, Cho-cho, Chuchu, Christophene, Mirliton, Vegetable Pear, Sousous, Choko, Custard Marrow, Pepinella, Pepinello. Source: Costa Rica & Mexico. Handling: Stored at approximately 34°F in relatively dry environment.